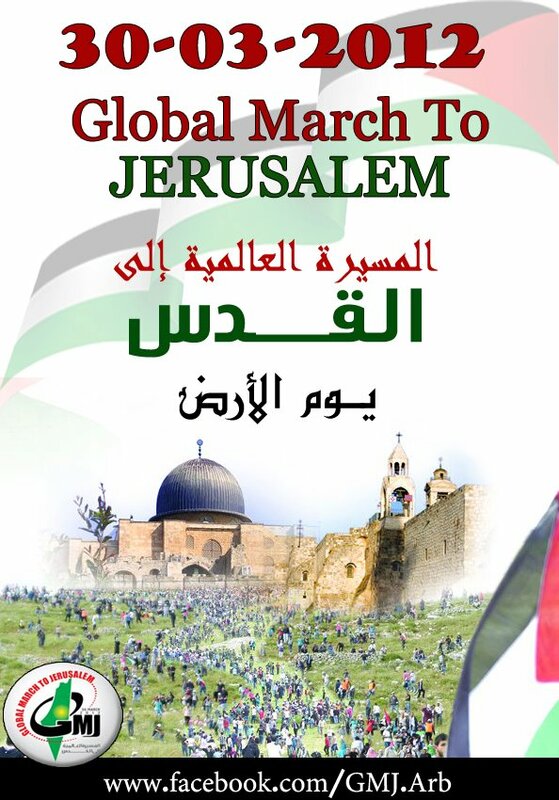 During an interview last week with Hezbollah’s satellite television station Al-Manar, Sarah Ann Marusek, an American organizer of the upcoming “Global March to Jerusalem” (GMJ), discussed the goals of the campaign. Marusek is currently a PhD candidate Syracuse University and a political analyst for Iran’s English-language propaganda television station Press TV. She maintains a website that offers English translation of Hassan Nasrallah speeches. Marusek also works with the Right to Return Committee in Lebanon, which co-organized a July 2011 rally with Hezbollah in Mar Ilias refugee camp in Lebanon to honor wounded Palestinians who participated in the May 2011 “Nakba day” march. The march was organized in part on social networking sites calling for a “Third Palestinian Intifada,” or violent uprising against the State of Israel.